The Alabama Supercomputer Authority is a state-funded corporation founded in 1989 to operate the Alabama Supercomputer Center and the Alabama Research and Education Network. 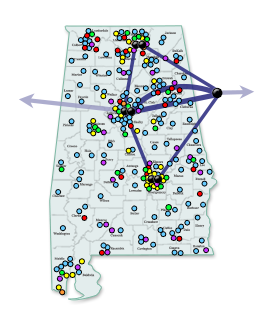 This organization provides supercomputing and advanced networking resources to Alabama's colleges, universities, and K-12 schools, providing Internet connectivity and faciliating research in advanced scientific and engineering disciplines. We are directly funded from the Alabama Educational Trust Fund, and we support educational network initiatives statewide. Services are provided through a professional services and facilities management contractor, CSRA.